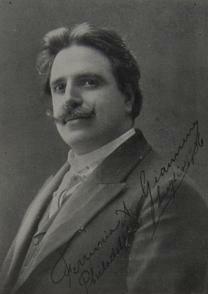 The Gianninis were a famed operatic family who lived at this site and established an Italian opera theater, Verdi Hall, down the block: father Feruccio was a tenor; daughter Dusolina was a Metropolitan soprano who first found fame in Europe; and son Vittorio was a composer and teacher at Juilliard and at Philadelphia's Curtis Institute. 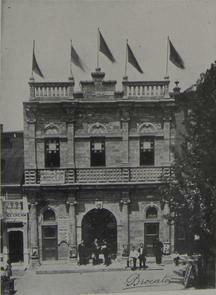 Verdi Hall opened in 1905 and featured performances and concerts by top Italian entertainers through the late 1920s. It was eventually converted into the neighborhood movie theater and later demolished. 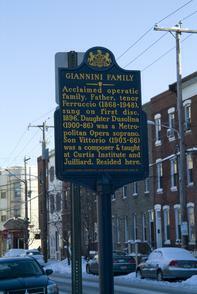 The Gianninis also operated a boarding house for Italian immigrants at 7th and Fitzwater.